Bangalore: Rose Garg wanted to see her book published. But after knocking on a few publishers’ doors and getting cold responses, she realised she was getting demoralised. But she did not give up on her writerly dreams. "When I heard of self-publishing, I realised it was just the thing for me," she said. She contacted Amazon and within a few days she self-published her book, A Moment’s Indulgence which is a collection of 10 short stories set in different parts of the world. Having an e-book available in the Kindle store meant that her book was available to readers worldwide. “I have received really good reviews from countries like US and UK and have been interviewed by blogs and publications abroad,” she exults. Self-publishing, earlier known as vanity publishing, has become a boon for first-time writers. And with large companies like Amazon joining the fray, it makes it much more simpler. Another author, Rasana Atreya, is happy about self-publishing being her first choice. After completing her manuscript, she managed to get a publishing deal but went ahead with Amazon to directly publish it. After debuting on Amazon, she has made her book available on Apple, Barnes and Noble and Kobo. She has also helped her children publish their book, The Mosquito and the Teapot, on Amazon. The self-service nature of these platforms is what attracts the novice writers as it allows them to experiment and accomplish things that would otherwise be impossible or impractical. “It empowers authors to unleash their creativity and pursue their dreams, giving them the freedom to express and publish work independently, to control the entire publishing process, and to reach the broadest readership possible, globally,” says Amazon’s Jon P Fine. They offer royalties up to 70 per cent in many cases and unlike traditional platforms, the authors can control the entire publishing process. “Authors get to publish the books as per their schedule — a typical delay in traditional publishing can be a year or more from the time the book is finished,” says Jon. He has seen a lot of interest and growth opportunities for aspirants from various forms of writing, including poetry and prose, fiction and non-fiction, bloggers from different communities such as chefs, travel writers, photographers. Though Jon wasn’t able to share any concrete numbers, he says, "Kindle Direct Publishing (KDP) has taken off on an astonishing scale — more than a thousand KDP authors each sell more than a thousand copies a month, some have already reached hundreds of thousands of sales. Traditional Publishers going the same route Self-publishing companies like Cinnamon Teal and Power Publishers are betting big on this model. Realising the potential for this form of publishing, some publishing houses are gradually adopting this platform. Penguin Books, recently debuted its affiliate service, Partridge in association with Author Solutions. The main aim was to provide Indian authors with new opportunities to get published and discovered, both in India and around the world. “In one year, we have published over 500 books,” says Aparna Jain who heads the India operations. There are many accomplished writers who were first self-published. 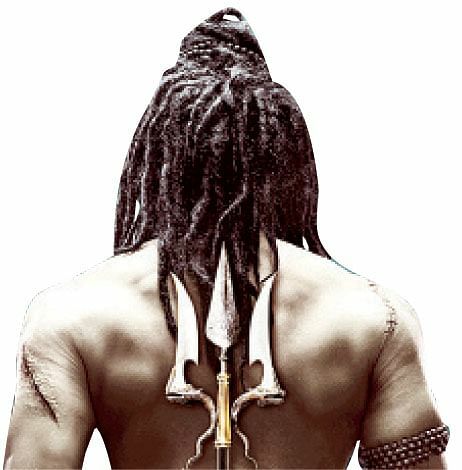 There is the case of author Amish Tripathi who opted to self-publish the first book in the Shiva trilogy, The Immortals of Meluha, after countless rejections from over 20 publishing houses. It became so successful that he managed to get a $1-million contract with Westland India for the subsequent books in the trilogy. However, such success stories are only a flash in the pan, says Anurima Roy of Bloomsbury Publishing India. Self-publishing has another flaw in terms of the quality of the content, adds Anurima. “When you self-publish, you don’t have a professional editor. There’s no one to vet your content or check the facts. There are no editorial discussions, hence no perspective. You are your own team. Hence, quality might suffer in some cases,” she says. Some publishers like Penguin have tried to bridge the gap. They have packages for services like editing, proofreading, sales and publicity. But creating a professional book is really hard and there’s a chance that your book won’t sell because of the limited distribution network, says Anurima.